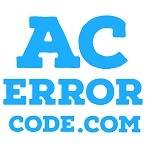 Error Code List for Outdoor Unit, Airstage V2 Series; Error Code / Error Contents 1 3 . 1 : Communication Error Between Outdoor Unit 1 4 . 1 : Outdoor Unit Network communication 1 Error 1 4 . 2 : Outdoor Unit Network communication 2 Error 2 8 . 1 : Auto Address Setting Error 2 8 .